Jonathan Haidt has been doing extremely interesting work at the intersection of psychology, ethics, politics, and sociology. 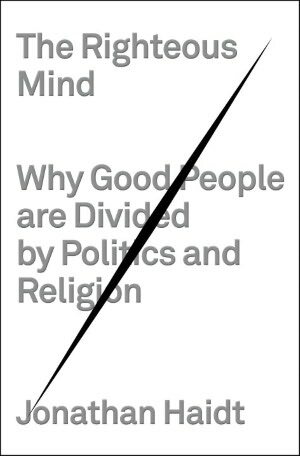 That is in part why I am very much looking forward to reading his recently published book, The Righteous Mind: Why Good People Are Divided by Politics and Religion (Random House 2012). The publisher’s description follows.